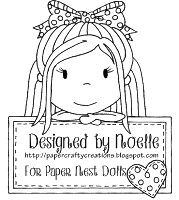 Happy 5th Birthday to Paper Nest Dolls! It's time for the new challenge for January, which is "Anything Goes" as always! You can find more details over on The Paper Nest Dolls Challenge Blog. I'm sharing my inspiration using "Avery with Snowman". It is also available as a digital stamp if you prefer. I made this card for my Sister-in-law for Christmas :). I hope that you like it! I colored her with my copics as usual. I die cut around her using a die by Lawn Fawn from stash. I layered her on top of designer cardstock from Doodlebug Design's "Polar Pals" collection. I distressed the edges and inked them with Distress Ink in "Broken China". I added some enamel dots by My Mind's Eye and a Doodle pop Snowman also from the Doodlebug Design "Polar Pals" Collection. The card base is from Bazzill's Card Shoppe line. Thank you for stopping by! I hope to see your creations in this month's challenge! 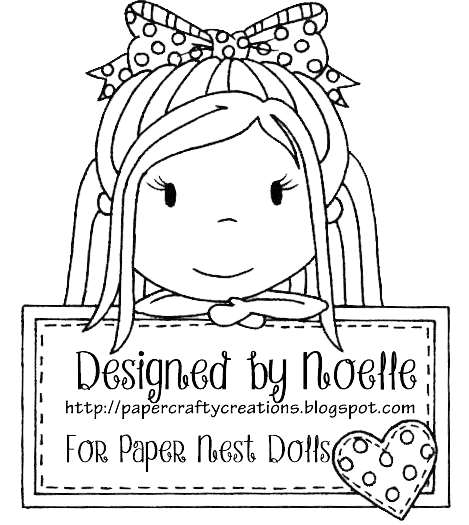 Feel free to leave some comments and be sure to check out all the images available at Paper Nest Dolls! Have a wonderful weekend!